B.Sc., B. Mus., LL.B., Ph.D.
Educationist, Central Board of Secondary Education Delhi for 12 years in Academic Branch. Principal - Sr. Sec School, Senior Teacher (Math)-Dept. of Education,Andaman & Nicobar Administration, PORTBLAIR for 24 years. AWARD- He is honoured with Dr. Sarvapalli Radha Krishnan Award for Education. B.COM. HONS - (ADVANCED BANKING), M.COM. About 37 years of Banking career with State Bank of Patiala, State Bank of Bikaner & Jaipur, State Bank of Saurashtra & State Bank of Indore and retired as Top Management Functionary. B. Tech. (Mechanical Engineering), M. Ed., M. Sc. (Maths) Gold Medalist. Awards : Innovation Awards NCERT, New Delhi. Shiksha Gaurav, New Delhi. Tata Consultancy Service - Education World, Bangalore. Distinguish Teachers Awards - AMTI - Chennai. Ed-leadership International Roundtable “Outstanding Contribution to Education”Award 2010 - Global Education USA & CMS, Lucknow. Ed-leadership International Roundtable “Outstanding Contribution to Education” Award 2016 - Global Education USA & CMS, Lucknow (UP). 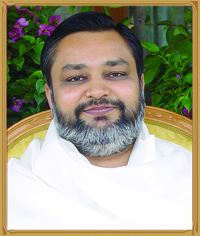 Copyright © - 2013 Maharishi Vidya Mandir - Narsinghpur, All rights reserved.